Hey there I just picked up a 18' GSA and looking at soft bags. Ive done some research about the GIVI Gravel as well as the Wolfman Rocky Mtns. Anyone have any intel on these two options. Pros vs Cons - Thx! I've had a couple Wolfman tail bags and they have been quality products. Cannot speak about Givi, although, I think they are a quality product also. Check out Mosko Moto Back Country 35L. I can vouch for these. all around the bags to keep them on the bikes. now we use wolfman and mosko moto. don't waste your money on the GIVI. My rec is avoid GIVI. I would never buy GIVI or recommend it to anyone that feels like they need to depend on it, and, it's integrity might be challenged somewhere along the line. I'm certain the brand has its fans. The GIVI plate that the topbox sat on had very poor (GIVI) support and one arm broke, just broke in half. broke off. When I got it welded they guy doing it said it was crap metal and that it was stronger after a remedial weld.. So, crap metal and poor design. I called their customer service people to see if they warrant the crap metal for failing. The guy on the phone when I explained the situation said "Oh, yeah." Then silence... IOW, like he had heard of that failure before. I asked if they warrant the support that failed?
" Uh, no, I don't think we do that." Also, I think their appearance is way too bling. Wolfman is more expensive, right? Probably for a reason. rsgrandamerican's report is not the same as mine, but I am not surprised at all. Had two Givi tank bags and three Wolfman bags. (Two Wolfmans were Spousal Unit’s). One Givi had a seam unravel after 3 years. Two Wolfman bags had zipper failures after 6/8 years of use. The Givi tank lock system is a huge plus to me. I just purchased a Givi bag that fits under the rear rack. The velcro that is suppose to hold it would only engage about 1/4" and that was with pulling on the straps hard. I emailed Givi and they requested a bunch of photos of the bag and my bike to confirm I had the OEM rack. Thank you for your reply and the images you have sent. We have not been informed of any issues on these Bags however your comments have been noted. Thank you for contacting Givi UK. My reply to them......"You are not offering a solution? Noted!" 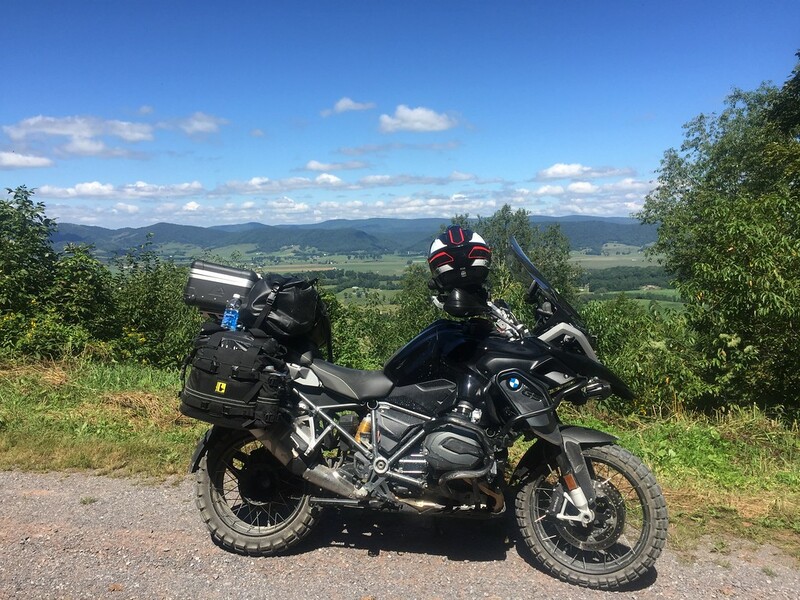 I've got over 15,000 off-road miles on my Wolfman bags and they have always performed flawlessly. I used the Expedition soft panniers on the TAT and I've used the Rocky Mountain bags since on the GS. They are really well designed (fastening and adjusting) and nigh indestructible (ahem, dropped on them a few times) and are made in the USA by a great group of guys HQ'd out of Longmont CO. I rode up there one time when visiting my daughter in Boulder and they dropped what they were doing and let me play with everything they made. Even sent me home with some nice swag. I also use the Wolfman Medium duffle roll top and I can fit almost my entire camp site in there including cooking and food. I strap my camp chair and table to the top of the Rocky Mtn bags. you won't be disappointed in the quality.